The subscription-based periodical comes with an equally vibrant website, blog and on-line newsletter. Issue One, out on April 24th sees a kaleidoscopic selection of features including the UK’s poster boy of mixology, Tony Conigliaro, an interview with Fergus Henderson at St John’s Bread & Wine, exclusive graphics from installation artist Ron Haseledn, and a critique of Georgian wine by leading American wine-writer and author Alice Feiring. Contributors from around the world form an impressive who’s who of food writers, critics and commentators including, among many,Lindsey Bareham, Jill Norman and Nicholas Tresilian – brought together in the most erudite fashion by Commissioning Editor, Penny Averill; herself an eminent food and travel writer. In Search of Taste also champions the work of selected up-and-coming artists, illustrators and photographers – all combining to bring readers a visually stunning publication. Each issue will include a highly-collectable postcard featuring examples of their work. The aim of In Search of Taste ? To provoke, to stimulate, to tantalise; to delight the reader with facts, both historical and thoroughly modern, of how food and wine is really produced, how it is grown, consumed and why it assumes such cultural importance in villages, cities and nations across the world. From the humble loaf to the finest delicacy, here, finally, is a magazine that delves deep into the of world gastronomy – a magazine that melds the science with the art. Thought provoking and, above all, educative, In Search of Taste is fundamentally unlike the banal, confusing ‘recipe-fest’ seen in the food-glossies at the supermarket check-out. From the outset, Keith Reeves, Editor-in-Chief, writer, wine expert and entrepreneur, was unwavering in his desire to produce a food and wine title with cultural credentials at its core, “In Search of Taste is not, repeat not, a glossy monthly for the dinner party enthusiast,” he asserts, “however adventurous he or she might be. “No, here is an artistically rendered compilation of creative journalism for those wishing to immerse themselves in the history, the traditions, the geography, the fundamental principles of the food on their plates, and the wine in their glasses,” he says. 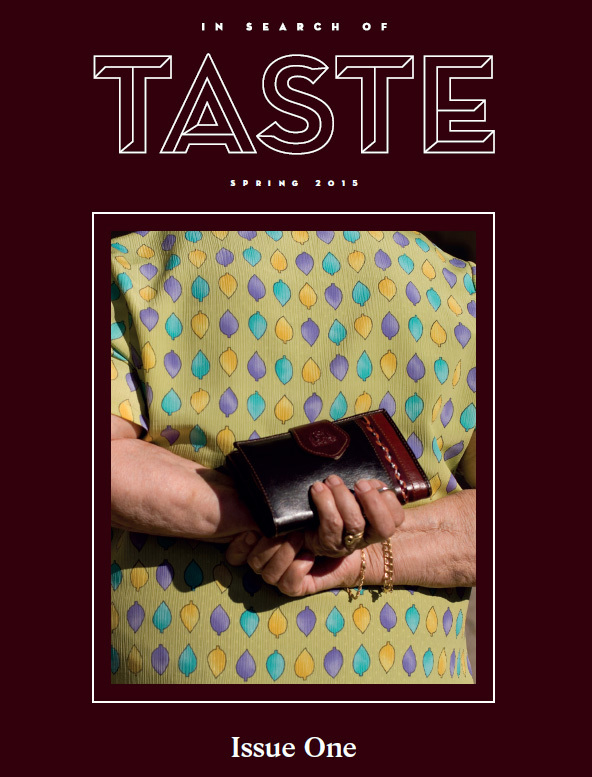 With editorial flair evident throughout, and stunning imagery adorning its pages, In Search of Taste is the definitive resource for the discerning individual seeking intellectual sustenance from the world of food and wine.